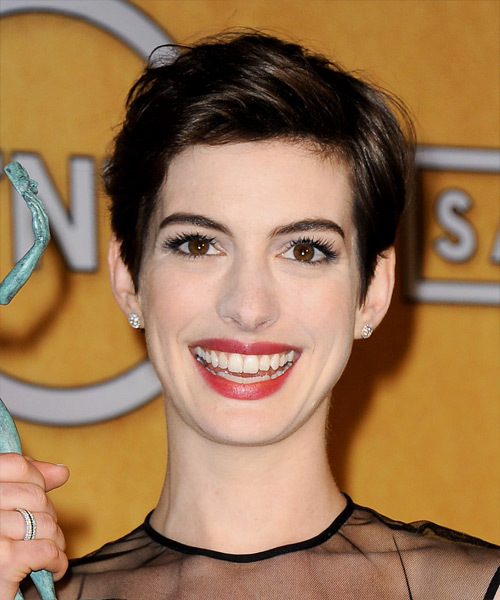 Anne decided to wear her short mane back into this casual shape for the 19th Annual Screen Actors Guild Awards. The back and sides are smoothed down while the top layers are swept up and back showing how versatile short hair can be. Product is needed for hold and shine.